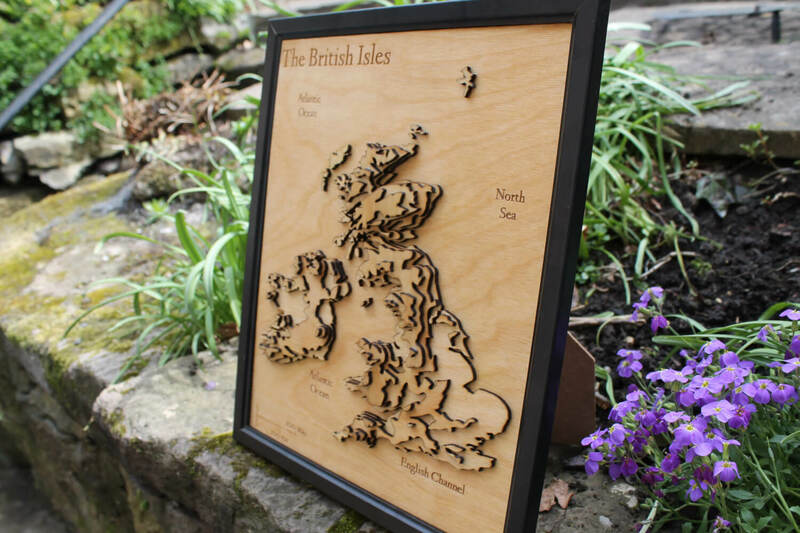 This is a 3D map of the British Isles laser cut on birch wood. This contains England, Wales, Scotland, Northern Ireland and Ireland. 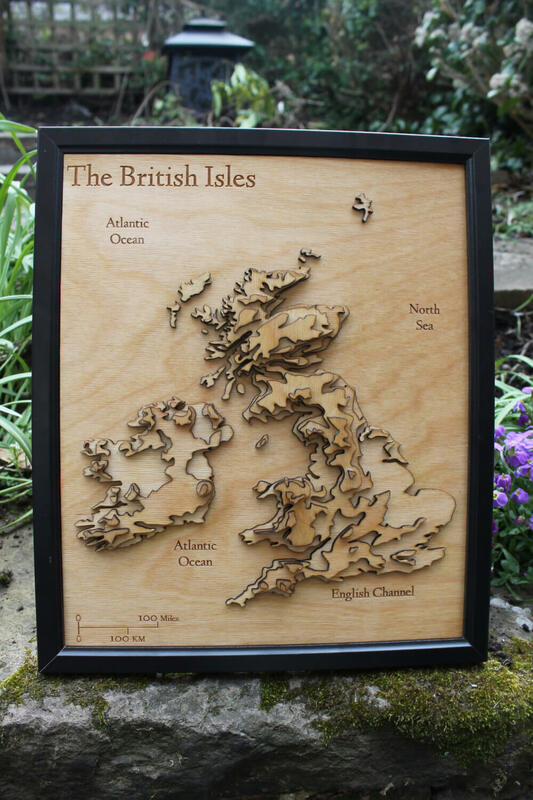 This item uses five layers to create a 3D representation of the British Isles. 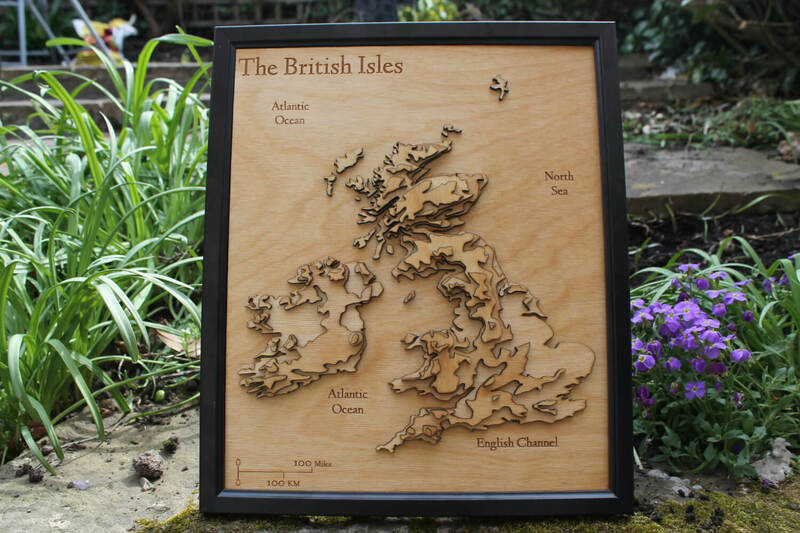 The British isles as well as the various sea’s are Laser Engraved on the bottom layer. 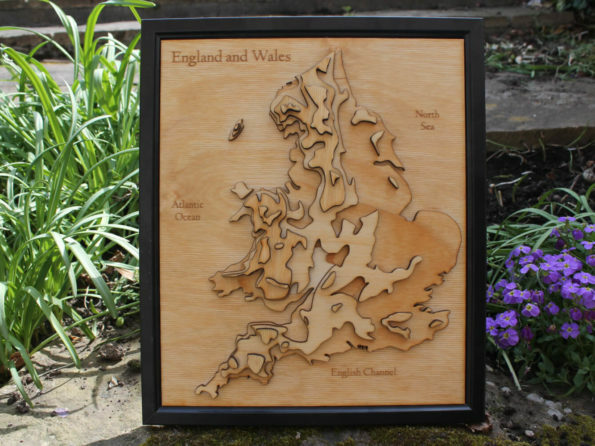 This really does look magical and would beautifully adorn your wall or sunk into a table. This popular model fits easily on a busy desk, table or shelf in home or office. 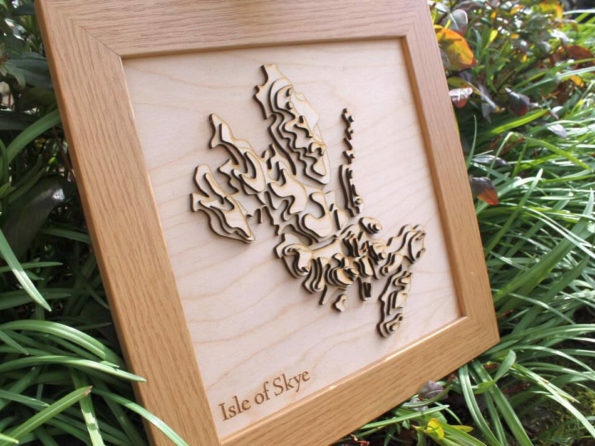 This item is fabricated by glueing the fiver layers together and then finished using a layer of Boiled Linseed Oil to give the item a deep finish and also protect it from the elements. 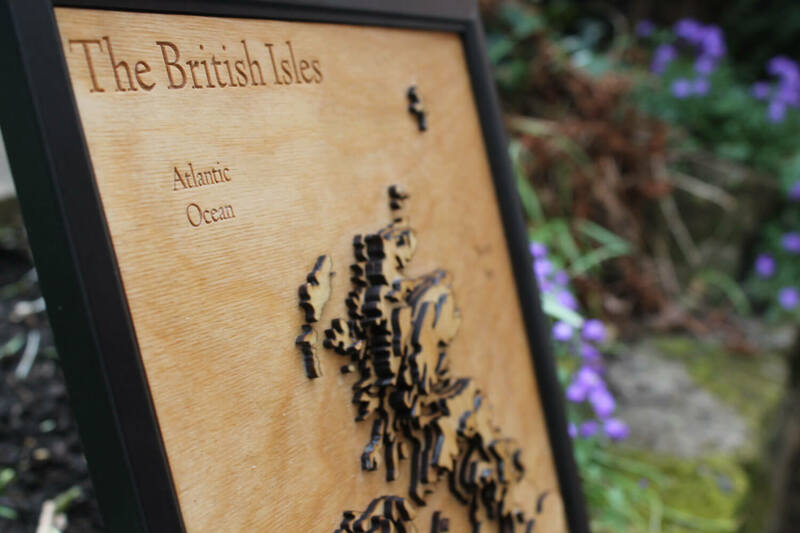 We produce items using our own suite of laser machines. 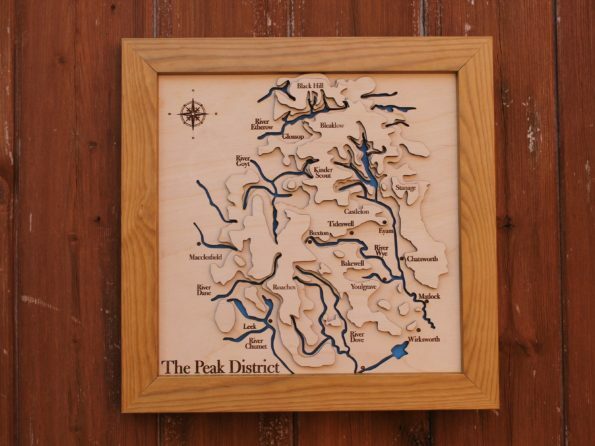 Each item takes over an hour to laser engrave or cut and then multiple hours of finishing to make the item look perfect. All of our pieces are designed by our own design team – making them unique and perfect just for you! We endeavour to provide you with art work that will brighten up your home and have your guests in awe! 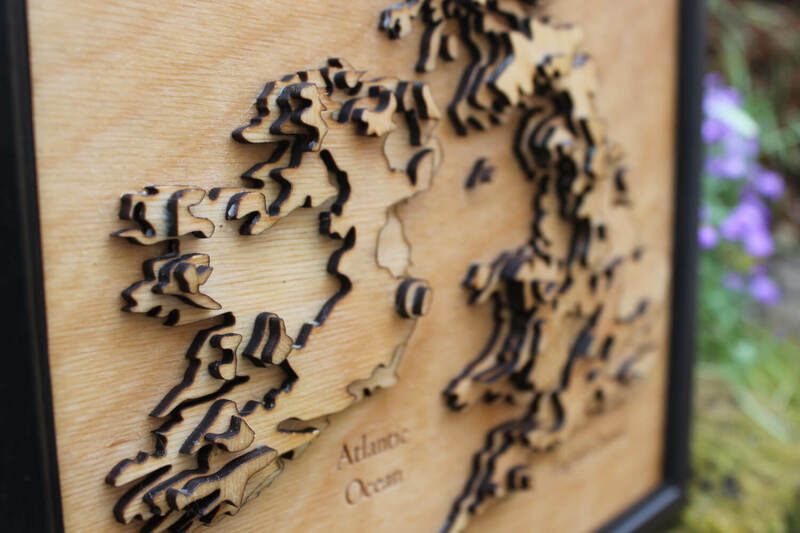 This piece of art is laser cut to an accuracy of 0.2mm, making the 3D layers look visually striking and unlike anything you have ever seen. 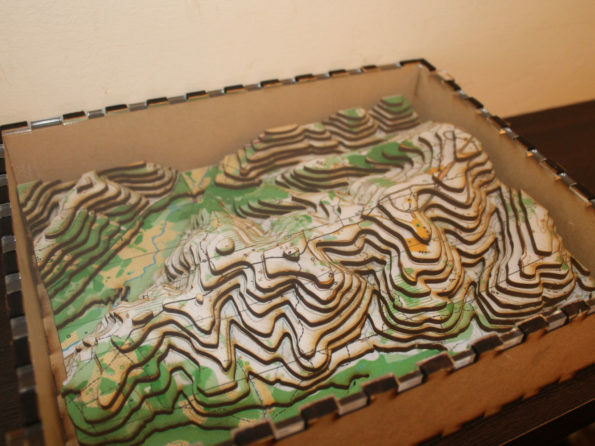 The quality and accuracy of cutting using Lasers means that it is perfect every time with no imperfections. This really was a labour of love for me to design and create and it looks amazing in person. Perfect. And just the right weight for Velcro command strips!